Contributions from other adventurers, not all paddlers, with information and opinions on trips, gear and more. Add your trip report or opinion piece here. 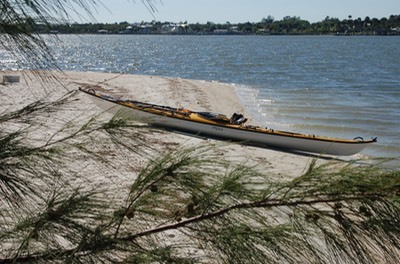 One great reference that is essential when paddling the Hidden Coast is Sea Kayak Day Paddles on Florida’s Hidden Coast by Nick and Sandra Crowhurst. 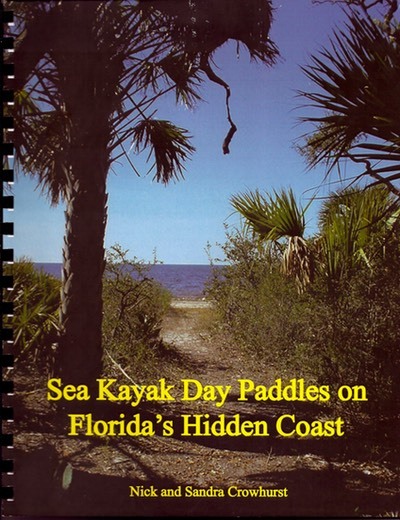 It can be downloaded free at http://hiddencoast.blogspot.com or a hard copy can be purchased for a nominal cost at the same site(see cover below). Getting There: This was a-one way river trip. Our take out was downriver at Clayton Landing, near Manatee Springs State Park on the east side of the Suwannee River. 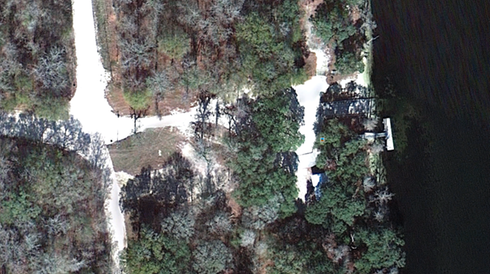 Our put in was at Purvis Landing, some distance above Fanning Springs State Park on the West side of the river. Having two cars with us made this one-way trip possible. 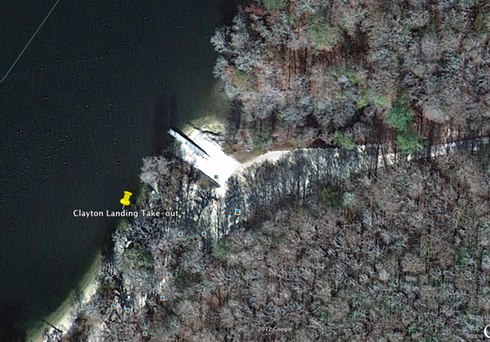 Our route had us passing Clayton Landing on the way north to Purvis, so we dropped my car there and went on with both boats on Bruce’s car. Neither of these spots is easy to find, but Bruce, with his innate ability to divine the meaning of incomplete maps, got us to both locations without a problem. Clayton Landing: (N290 31.082, W820 58.223) The easiest way to get to Clayton landing is to take the road off of US19 to Manatee Springs. From Cedar Key, go back to US 19 North, via CR 24. Pass through Chiefland. In Hardestown, turn left on CR 320, Manatee Springs Road. Before you get to the park, turn right on CR 110. Next turn left on NW 129th Place. This road turns sharp right (115th Avenue) and sharp left (130th Street) but is still a continuation of the same road. You will dead end at Clayton Landing. Suwannee River to its west side. Stay on US19 until it crosses CR 349 at Old Town. Turn right on CR 349. Follow CR 349 to Willow Hole Road. Willow Hole Road crosses River Road/NE 832 Street and dead ends at Purvis Landing. I have paddled the Suwannee River before, from White Springs near Jacksonville to Fanning Springs. 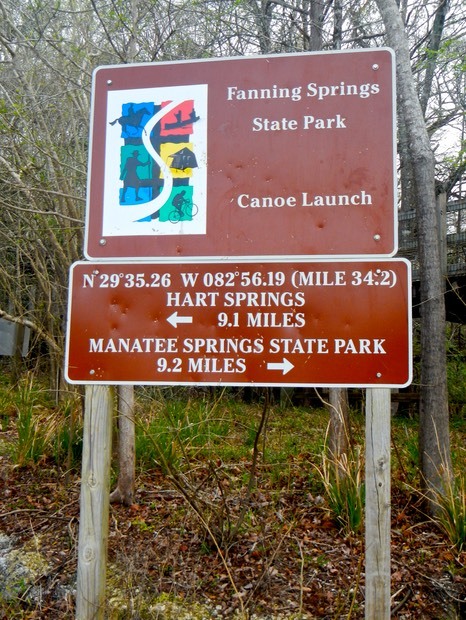 This day paddle took us from Pruvis Landing above Fanning springs, to Clayton Landing below Fanning and then on to complete a round trip from Clayton to Manatee Springs State Park (18.4 miles in all). Purvis and Clayton were chosen because they provided a reasonable day’s paddle within a reasonable day’s driving time. 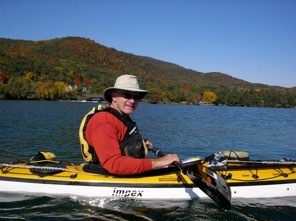 And we wanted a freshwater river paddle as an alternative to another saltwater Gulf paddle. alone. There was not another soul to be seen on the river that day. 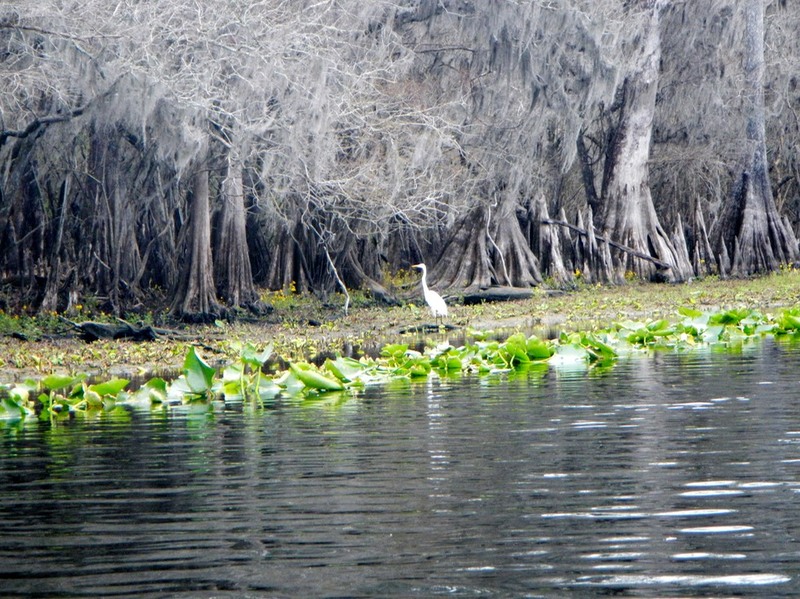 This was the river’s middle section, below the limestone cliffs of the narrow upper Suwannee and the cypress and mangrove lined lower river. We saw a lot of wildlife; Alligators, Egrets Heron, Kingfishers, Mullet, vultures, turtles, Anhinga Cormorants and a Bald Eagle. For me the trip brought back memories of familiar places seen on my earlier seven-day paddle down the river (See trip report). We stopped briefly at Fanning Springs State Park (N290 35.313, W820 56.204), the end point of my earlier trip, and then paddled on to Clayton Landing, covering about thirteen miles. 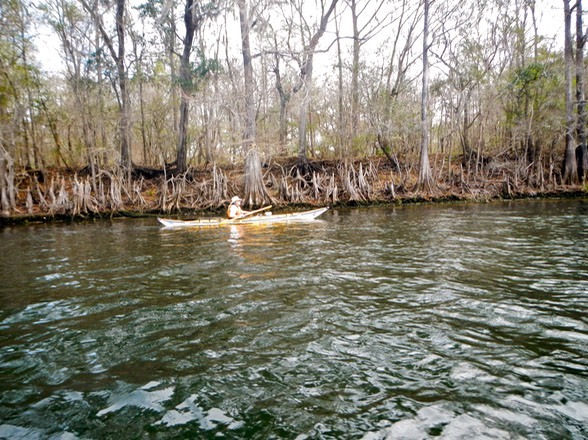 Bruce was not tired of paddling at Clayton, so we agreed to continue on to Manatee Springs State Park. We had lunch there and watched as some conservationists monitored a badly hurt female manatee. She had been hit by a powerboat propeller and had a deep, angry red wound across her back. She was nursing a small calf, putting both of their lives in danger if she could not be captured and attended to. Against my better judgment, Bruce insisted we continue down river for a while longer. We pulled on our paddling jackets when it started to rain. I parked under a tree feeling miserable while Bruce continued down river. Soon he’d had enough too. We paddled the few miles back to Clayton Landing, loaded our boats and gear in the rain and headed for Cedar Key and the dry warmth of our cabin. Each of these day paddles had its high points. The great White Pelicans at Derrick Key was one for example. 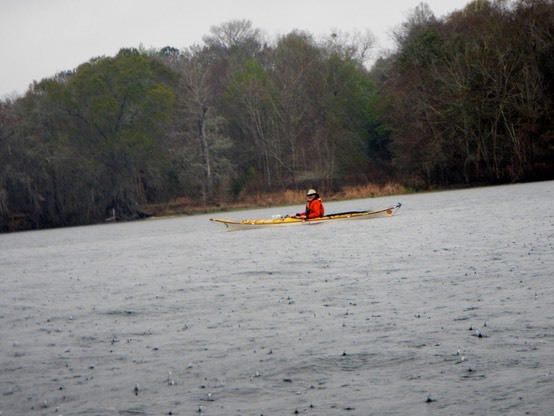 But for me, this paddle on the Suwannee was the highpoint of the trip, despite the rain.